The Games on Demand version supports Arabic, English, French, Italian, German, Spanish, Danish, Dutch, Finnish, Norwegian, Polish, Portuguese, Russian, Swedish. A Disney Infinity Figure and Base are required. Expand your fun-filled adventures by collecting additional Play Sets, Disney Infinity Figures and Power Discs. Items sold separately. Bring on the Incredible. Bring on the Mighty. Bring on the Super Heroes. Play with some of your favorite Marvel Super Heroes and new Disney characters together in the Disney Infinity Toy Box (2.0 Edition). What will you create in the toy box? Bring on the Super Heroes! Spider-Man, Captain America, Iron Man, Hulk, Black Widow, Rocket Raccoon and many more of your favorite Marvel Super Heroes are coming to Disney Infinity! 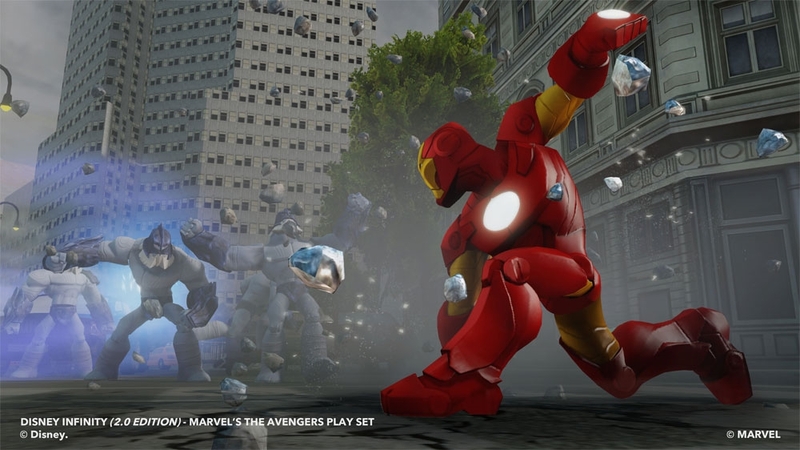 Save the world in play sets for The Avengers, Spider-Man and Guardians of the Galaxy. 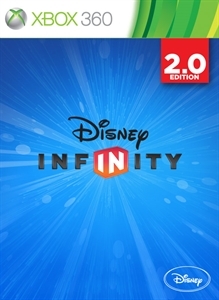 Create your own universe with the newly enhanced Disney Infinity Toy Box 2.0 Edition. Bring on the Dreamer. Bring on the Daring. Bring on a whole new world! Aladdin and Jasmine are coming to the Disney Infinity Toy Box 2.0! What new worlds will you create? 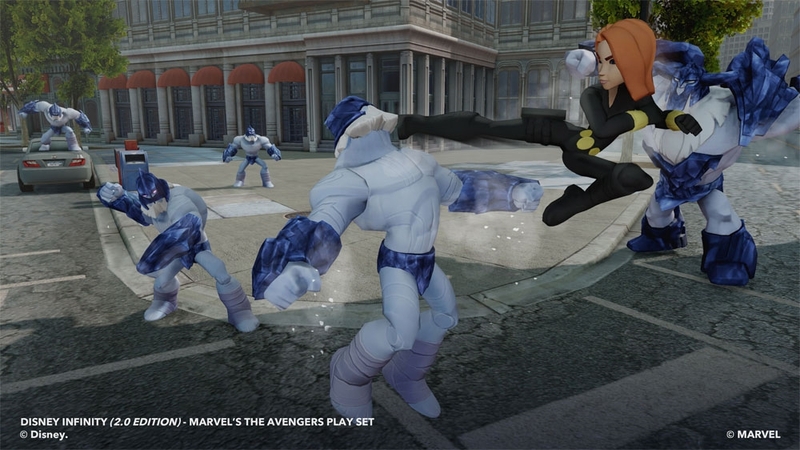 Each character is sold separately and has unique abilities only playable in the 2.0 edition of Disney Infinity. Bring on the BFFS! Introducing Hiro and Baymax from the upcoming Walt Disney Animation Studios film, Big Hero 6. Armed with Rocket Fist and Microbots, you’ll be able to create and play in your own adventures in the all-new Disney Infinity Toy Box (2.0 Edition). 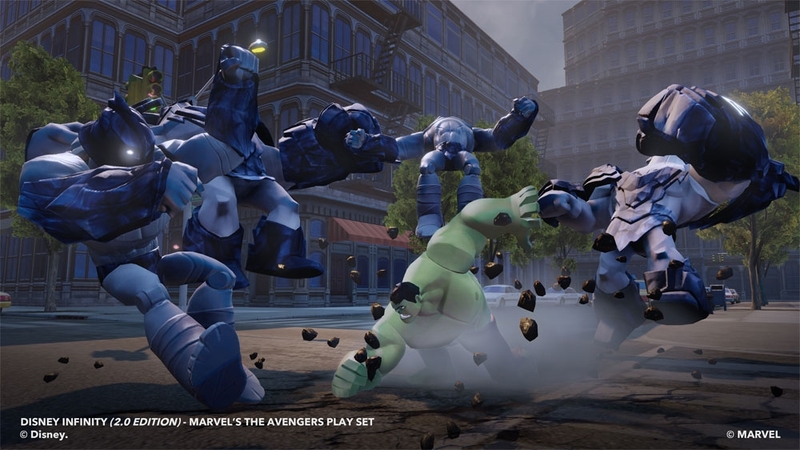 Hiro and Baymax are sold separately and have unique abilities only playable in the 2.0 Edition of Disney Infinity. I am Groot! Announcing Marvel's Guardians of the Galaxy Play Set for Disney Infinity: Marvel Super Heroes (2.0 Edition)! Join Marvel's newest team in an action-packed space adventure in a battle to defend Knowhere against Ronan the Accuser and his army of Sakaarans. Star-Lord and Gamora are included in the Guardians of the Galaxy Play Set Pack. Rocket, Drax and Groot sold separately. Available this fall. Bring on the Trickster. Bring on the Monster. Bring on the Accuser. Bring on the Villains! 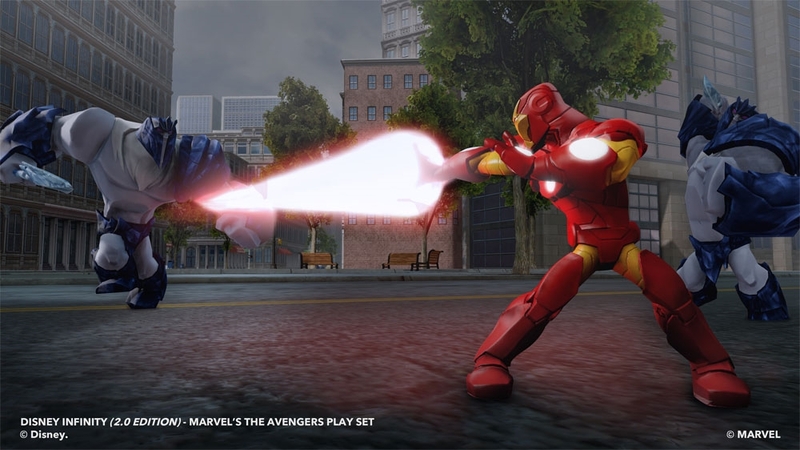 Soon you’ll be able to play as some of Marvel's most formidable foes: Loki from The Avengers, Green Goblin from Spider-Man and Ronan from The Guardians of the Galaxy play sets in Disney Infinity Marvel Super Heroes (2.0 Edition). Characters are playable in their respective play sets and the Toy Box 2.0. This fall, unlock an all-new adventure with Marvel's Spider-Man Play Set in Disney Infinity (2.0 Edition)! Swing into action with Spidey and save New York City from the toughest villains. Bring on the Brave. Bring on the Wicked. Two new characters are coming to Disney Infinity Toy Box 2.0 – Princess Merida from Disney/Pixar's Brave and the evil Maleficent from this Spring's new movie! Power up with Earth's mightiest heroes and stop Loki's cold-hearted plans to freeze New York City – and the world! 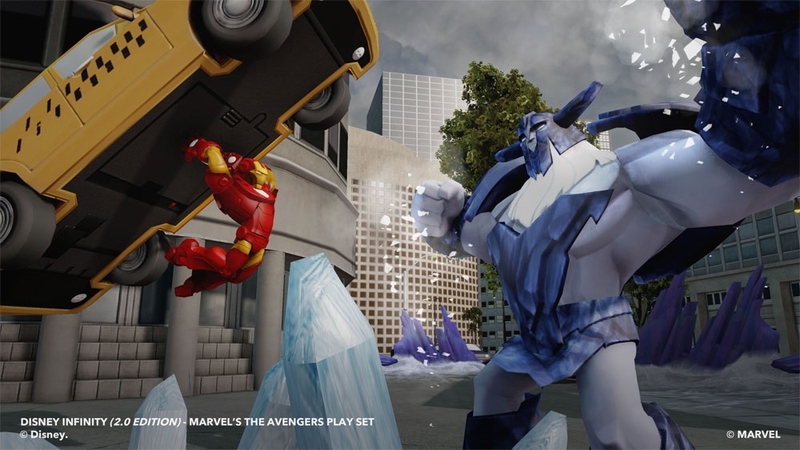 Announcing Disney Infinity: Marvel Super Heroes (2.0 Edition)! Bring many of your favorite Marvel Super Heroes into an even bigger Toy Box and all new Play Sets. Unlock the freedom to create worlds and combine Marvel and Disney characters in ways never-seen-before in the Disney Infinity 2.0 Toy Box. 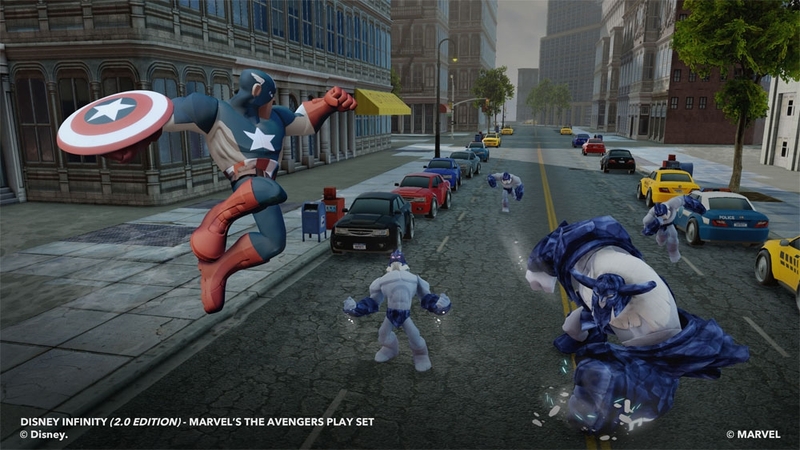 Disney Infinity Just Got Super-Powered.